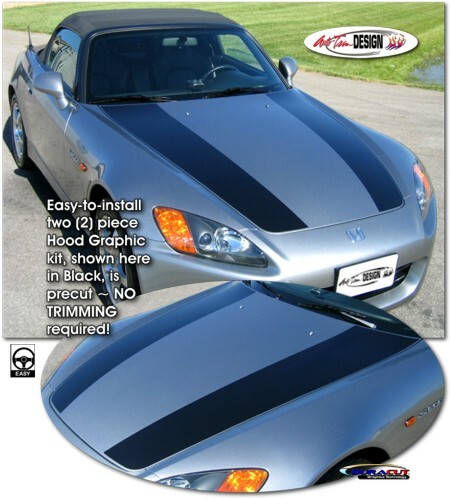 Trick out your '00-'09 Honda S2000 with our easy-to-install two (2) piece Hood Graphic kit. This stripe package is not just a straight strip in a box. Our graphic kit consists of prefitted and contoured pieces as shown in the image. Kit is specifically made for the '00-'09 Honda S2000 factory hood area and will not fit any other vehicle.